Alexander John Shaia, PhD, is a thoughtful and poetic man, living the ancient rhythms of his Lebanese and Aramaic heritage. 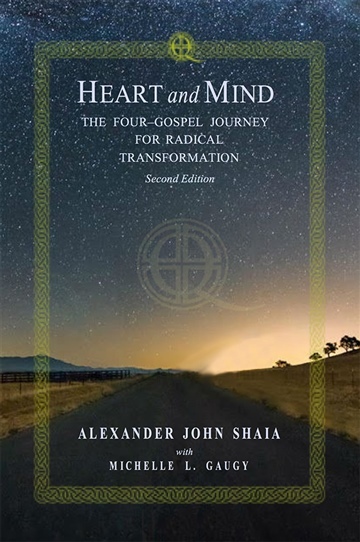 With deep conviction, he invites us into a practice of spirituality (and Christianity) for the twenty-first century—one that crosses traditional boundaries, encourages vital thinking and inhabits a genuine community of the heart. As a spiritual director, educator, anthropologist, psychologist, ritualist and Sandplay therapist, Alexander is a holistic, cross-discipline visionary and passionate professional speaker. He founded The Journey of Quadratos, as well as the Blue Door Retreat in Santa Fe, New Mexico. Now he travels internationally, speaking, leading seminars and conducting retreats on Quadratos, the Four-Gospel Journey and Gateway to Oneness (The 72 Hours of Easter). Each autumn Alexander guides an intimate band of pilgrims on the Camino, the West’s most ancient path of transformation. 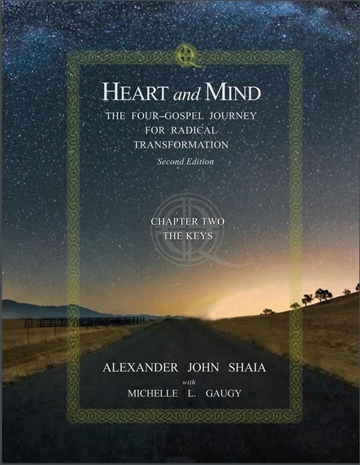 He’s just released the updated edition of Heart and Mind: The Four-Gospel Journey for Radical Transformation, which this post is based on. See Quadratos.com for more about his work and offerings.